March 2002 Eden Electronics endorses Ron Buckner (B-6). He was requested to conduct seminars in Denver, Colorado to answer questions about the Navigator Preamp, and the World Tour Power Amp which he uses. 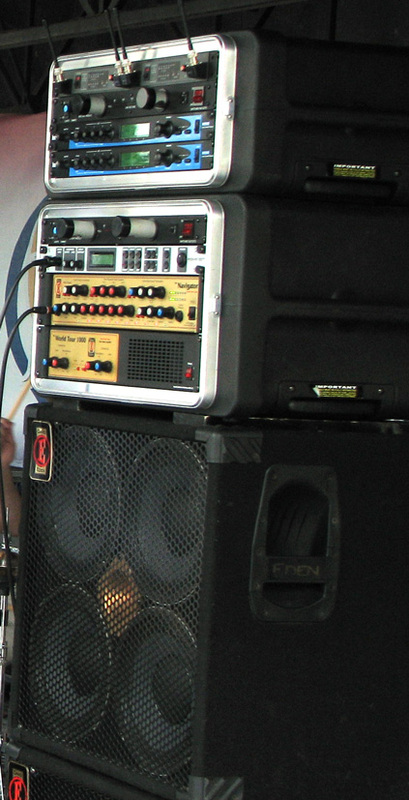 He also uses the Eden D-115XLT for the low end and the D 410T for the midrange and high end. 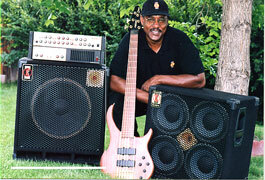 The seminars were a great success and several bass players are now using new Eden equipment. Ron is always ready to answer questions about the fine products produced by Eden Electronics. 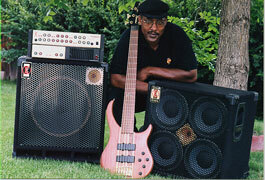 2005 Ron Buckner signs endorsee agreement with U.S. Music Corporation to represent Eden Electronics' line of Bass Amplifiers and speakers. 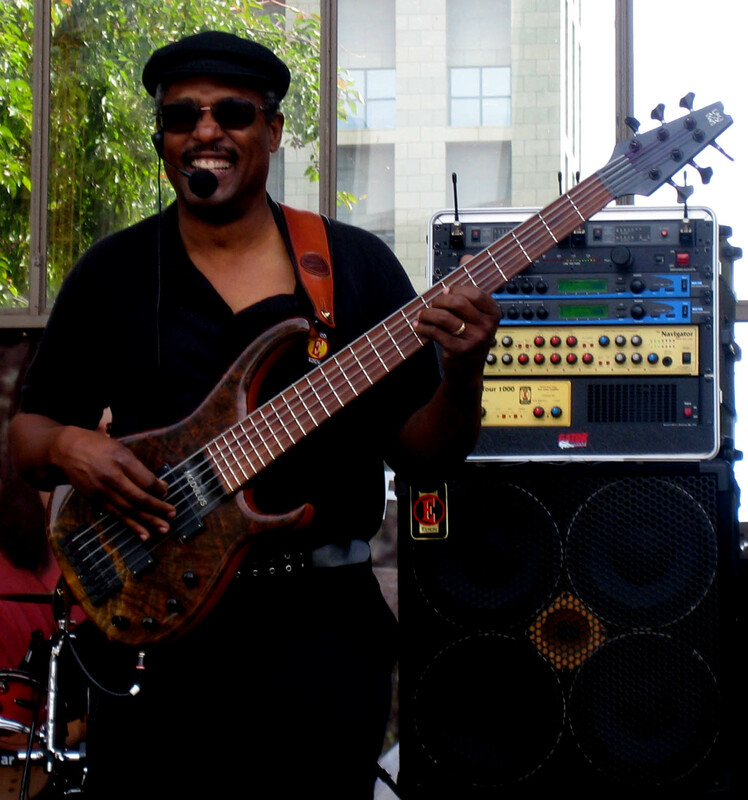 "I am very proud to represent Eden Electronics"
Just this morning, we heard from endorser Ron (B6) Buckner of Buckner Funken Jazz. 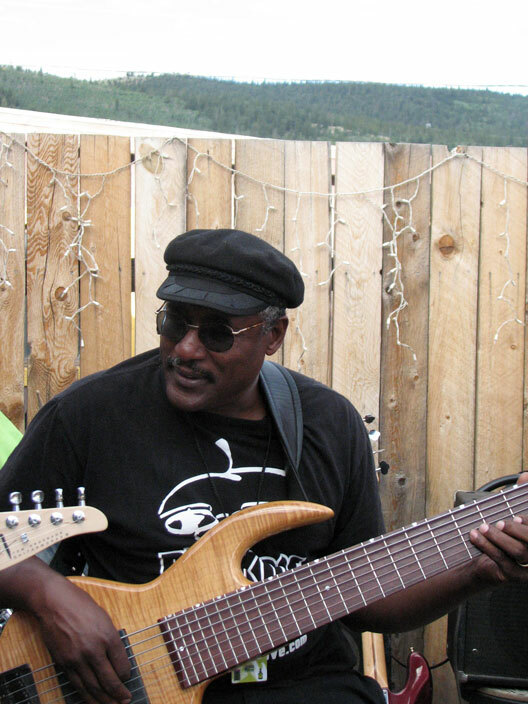 The band is one of Denver's hottest Funk acts and is always doing something fun. 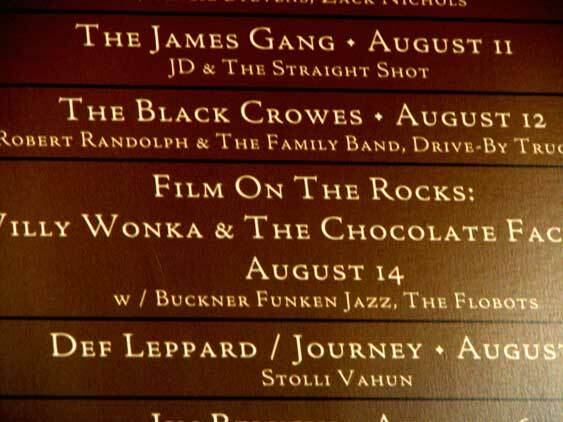 For instance, this summer, the band played a series of festival dates, including People's Fair, the South Park Music Tour, and were also billed with the Neville Brothers At The Saturday Night Live Black Tie Gala Benefiting The Denver Center For Performing Arts Center . They even played Denver's Supreme Court! Moving forward, the band will perform at Denver's Oktoberfest on October 6th. Through it all, B6's Eden rig keeps him grooving. "Man, you know me," he said in this morning's conversation. "I'm your biggest fan. As long as I've got my Eden rig, I know it's going to be a good show." 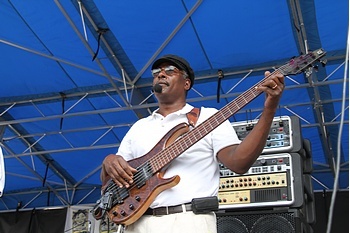 Ron Buckner (better known as B-6) has been playing bass since he was 8 years old. 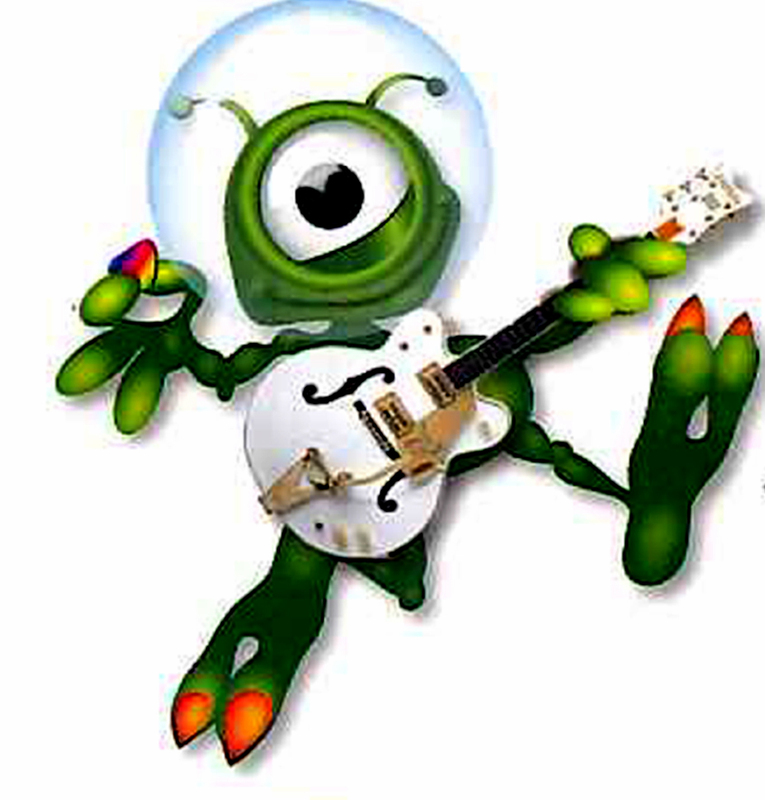 Ron purchased his first bass guitar, an EB3 replica, from (believe it or not) Radio Shack. He converted the living room stereo system into a bass amplifier (you know the stereo systems from the 60's that were a half a block long) by installing switches that re-routed the turntable needle signal outputs. This invention was to be used only when his parents weren't home. 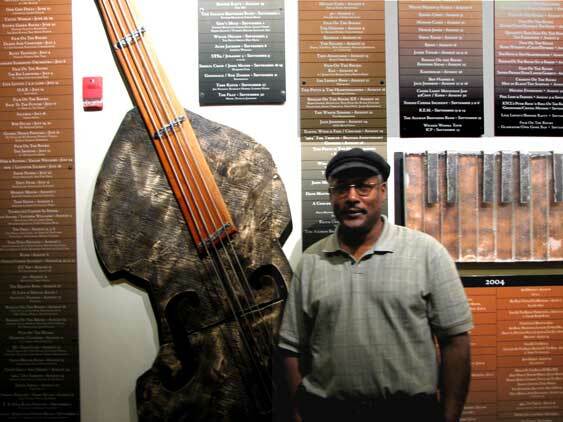 Upon seeing the new bass guitar in the family's living room Ron's father asked, "What are you going to do with that "Thang?" His Dad later discovered the conversion when his Green Onions "45" would not play (Ron forgot to throw the switches back). Ron thanks his mother for running interference for him from his Dad after the stereo system discovery was made. 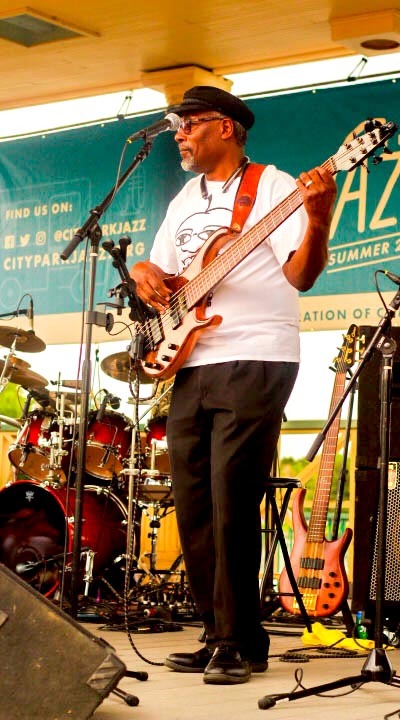 He thanks his father for the challenge and the inspiration that gave him the drive to become one of Denvers better bass players. 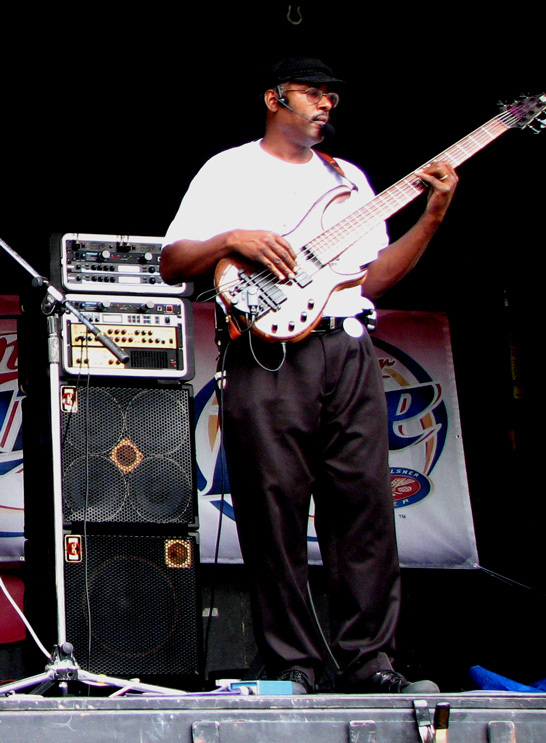 Ron's very unique style of playing combines the solid backbeat of graceful thumping with a straight-ahead peaceful in the pocket groove. 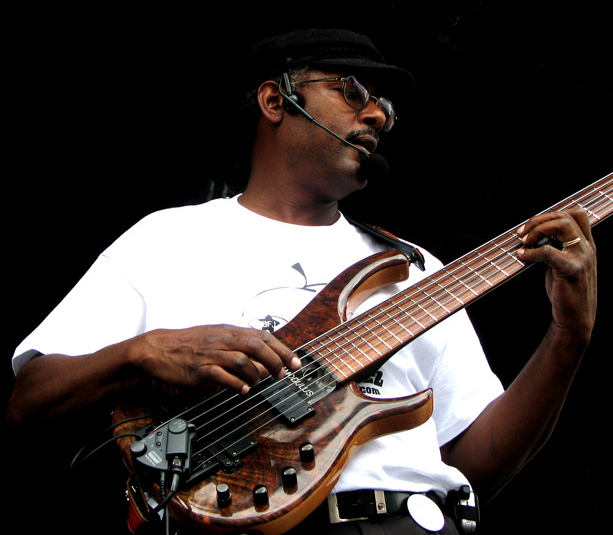 His influences came from his high school friends Larry Dunn of Earth Wind & Fire, and Ted "Funken" Duncan from Denver, Larry Graham of Sly and the Family Stones, Graham Central Station, and most recently Victor Wooten of Bella Fleck and The Flecktones. 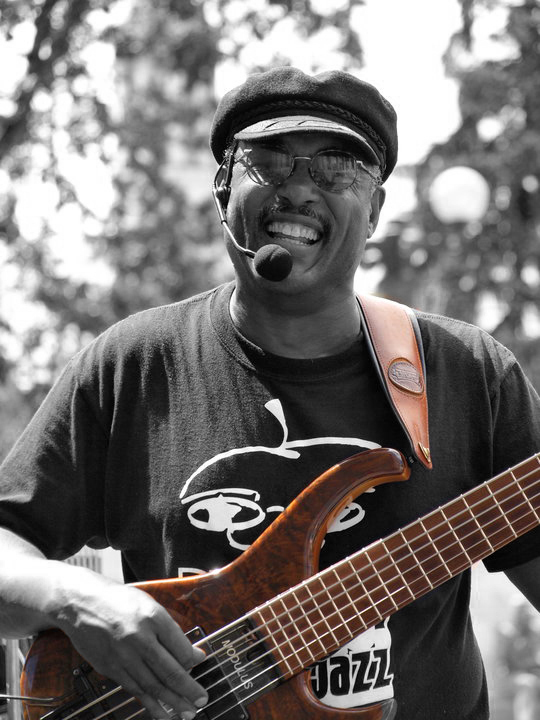 Ron has played with Sky, Specter, The Regroovanators, Splash, Impulse, The Jazz Project, Ace Butler And The Aces, The New "G", Sammy and Friends, Silver Jeff, Carl Dixon, Linda Theus-Lee, and host of other bands in California and in Colorado. Ron recently recorded with Portrait, on their "Without A Second Thought" CD, Katie on her Angel Eyes CD, Park Peters on his "Because You Asked" CD, and was requested to record bass tracks for the following: the "Oasis Product Line" commercials, "Down The Drain" By Regan Mizuno recorded at Raging Waters Records, and "The Ugly In Me" for the group Sans Visaj on their latest CD "Pearl" also at Raging Waters Records. 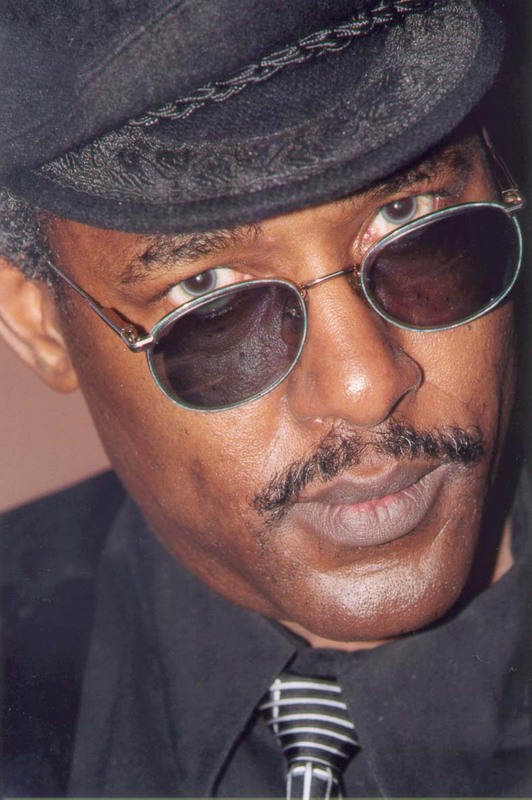 He is currently playing in The Buckner Funken Jazz Band with his brother, Rod Buckner, on trumpet. 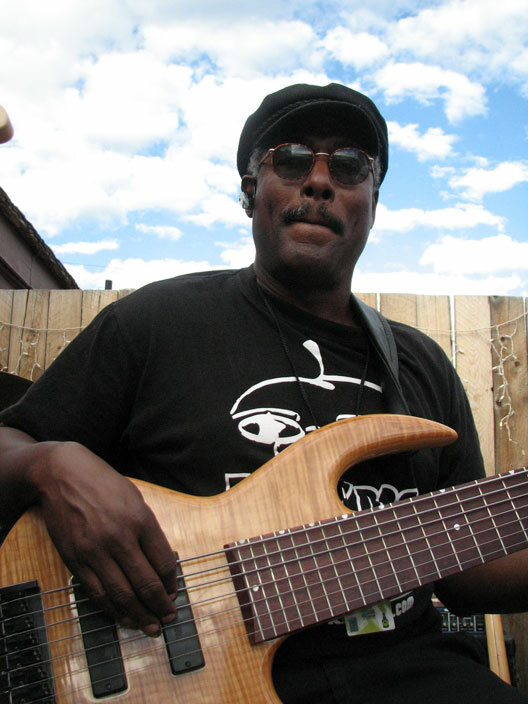 Ron also collaborates with various Denver-area artists and groups laying down studio grooves for them. Ron is the owner of Brainstorm Recording Studios, Brainstorm Records, and BRI Digital Images, subsidiaries of Buckner Resources Inc. 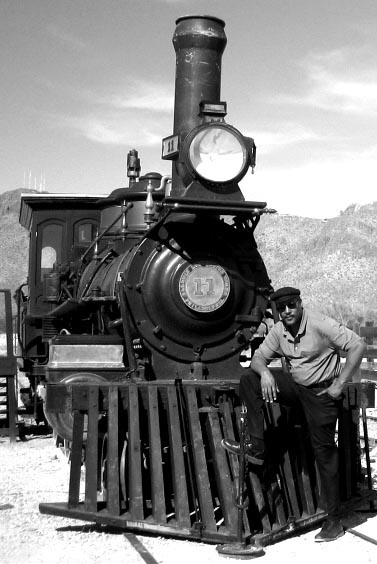 He produced, engineered, mixed, and mastered the CD project for the band "A New Elysium, Ticket To Nowhere", produced and engineered "Russell Edwards' CD, Edge Of A Fall", Produced, engineered, mixed, and mastered the CD project for GateKeeprz self titled CD GateKeeprz. 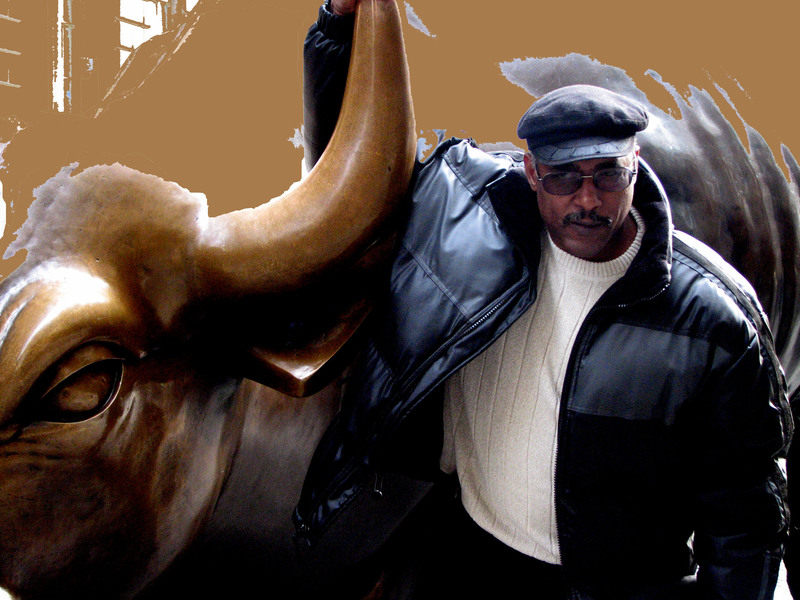 Produced, mixed, and mastered Buckner Funken Jazz's newest CD "Get Your Groove On" He is working on his solo CD entitled "Direct Current" . 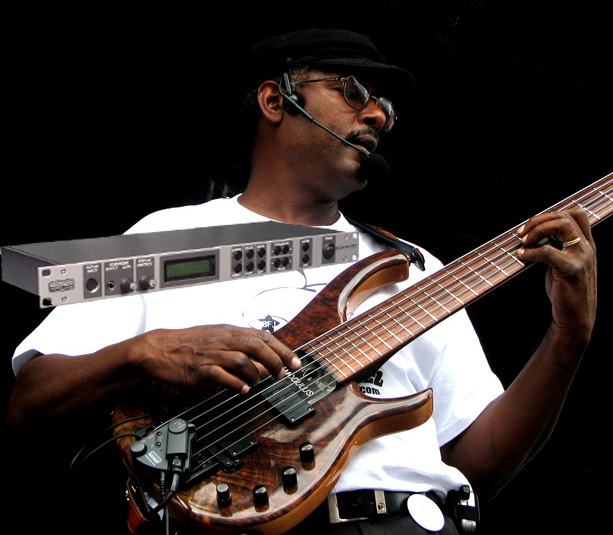 (B-6) states "I am very impressed with the capabilities of the Axon AX 100 MKII, this unit has completely opened a new world for Bass Players, It is a honor to represent Terra Tec, the Axon AX 100 MKII, and the AIX103 Bass Pickup. 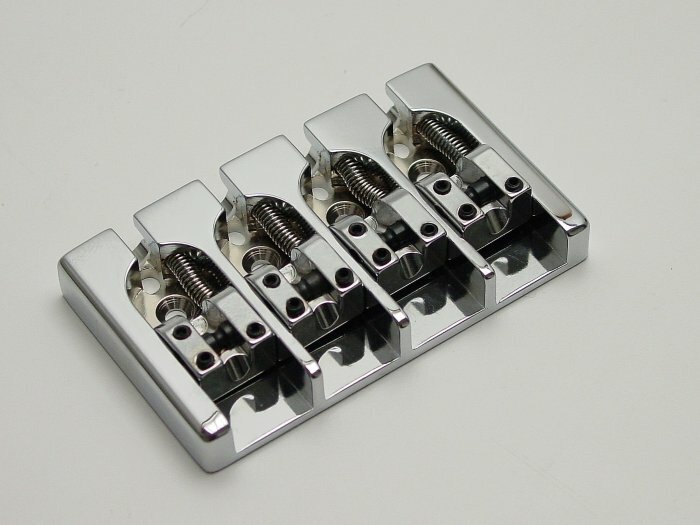 You will find many guitar players using this unit - but - Bass Players? Let Just Say It's A Brand New DAY!" great deal went into their creation. I only use very high quality cables so I was a little skeptical about the bass guitar cable that was sent to me. 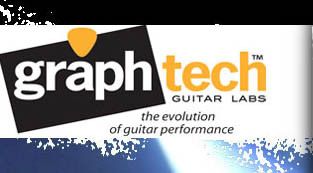 For over twenty years Graph Tech Guitar Labs has pioneered the development of innovative products designed to improve the guitar-playing experience by solving common problems and improving sound quality. 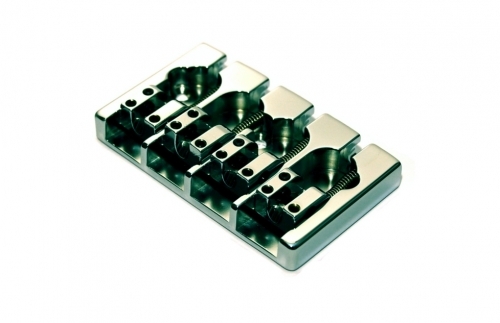 Starting with the original "graphite nut", our product line has burgeoned to five recognized brands that address everything from string breakage to tuning problems to MIDI compatibility. Underscoring it all is a commitment to tonal fidelity. 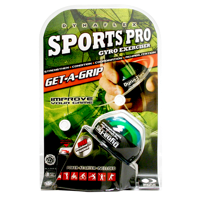 DFX POWERBALL CLICK HERE THIS WORKS!! !